The Valletta Pageant of the Seas, organised by Valletta 2018, kicked off in the Grand Harbour on the 7th June at 5.30pm with a re-enactment by members of In Guardia. The character of the Grandmaster, together with other members from In Guardia sailed into the Grand Harbour aboard the Fernandes, a Turkish gullet. Following the In Guardia re-enactment, a regatta race took place from the Old Customs House across the Grand Harbour and back. Another race took place shortly after the regatta – Tellieqa Telliqun. This wacky race saw man-made sea rafts sailing across the harbour without the use of traditional oars and motors to reach the finish line. 25 teams participated in this race with participants hailing from different backgrounds such as boating clubs and educational institutions. Participants built their water rafts using recycled materials. 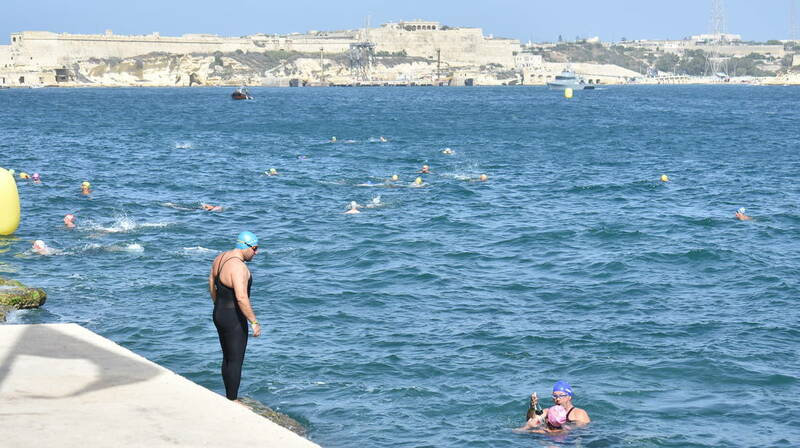 As with the previous edition of the Valletta Pageant of the Seas 2016, swimmers for L-Għawma Toni Bajada swam across the Grand Harbour from Fort St Angelo towards the Valletta. This activity pays homage to the historical figure which it is named after who was known to relay information by swimming great distances during the Great Siege of Malta. Other activities that took place during the Valletta Pageant of the Seas include a show by Chaudron Powerboats and participation from various bands on land including the St Catherine Musical Society, Żurrieq at Ta’ Liesse, the Malta Police Force band at Pinto Wharf and the Samba Band – Escola de Samba Roma Rio at St Barbara Bastions. The day activities will came to a close with a prize giving ceremony at Ta’ Liesse for winners of the different races held earlier. The night festivities kick off at 9pm. The Valletta Pageant of the Seas is one of the largest spectacles to have been organised in the Grand Harbour. A splash of colour took over the harbour with the different re-enactments and races during the day, while fireworks and acrobats take centre stage during the night.